Stunning Grosse Pointe center entrance colonial featuring glorious updating throughout the interior. Upon entry you are greeted with gleaming hardwood flooring and a great floor-plan catering to all of your needs. With large living spaces along with great storage you are instantly satisfied as you tour this stately home. A huge living room paired with an even larger family room combined with a open concept kitchen and dining area round out our first floor. Upstairs you are treated with three over-sized bedrooms and a fully updated bathroom. The newly finished lower level completes our offering with an additional full bathroom and a flex room providing you additional space for all of your spill over activities. Truly a one of a kind home in an amazing location. Hello, I’m interested in 659 Lakepointe Street and would like to take a look around. 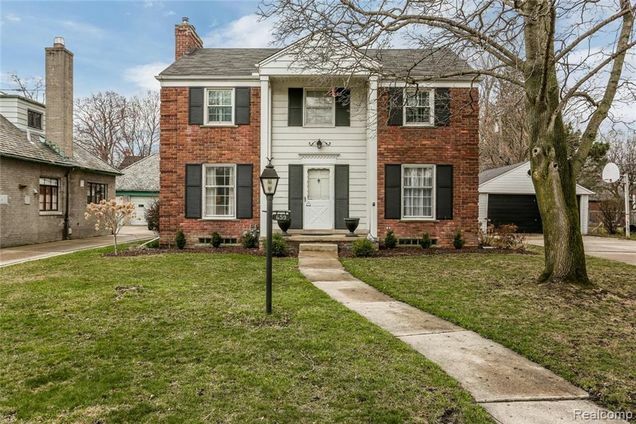 The details on 659 Lakepointe Street: This house located in Grosse Pointe Park, MI 48230 is currently for sale for $400,000. 659 Lakepointe Street is a 2,220 square foot house with 3 beds and 2.1 baths that has been on Estately for 7 days. This house is in the attendance area of Trombly Elementary School, Pierce Middle School, and Grosse Pointe South High School.